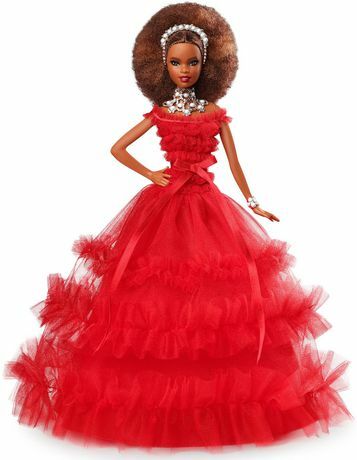 For 30 years the Holiday Barbie doll has created a long-lasting legacy of imagination and celebration. On her 30th anniversary, she wears a beautiful red gown reminiscent of the dress worn by the first Holiday Barbie. 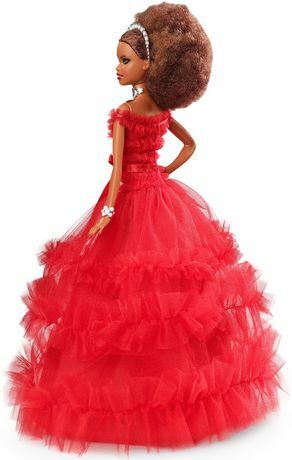 It has off the shoulder cap sleeves, multi-tiered layers throughout the bodice and gown, accented with a delicate bow at the waist. 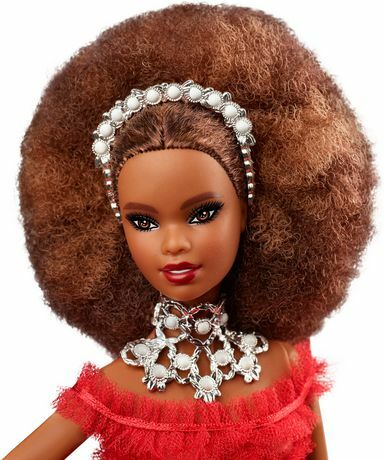 Styled in a trendy afro, her brown hair is framed with glowing highlights that complement her deep brown eyes. 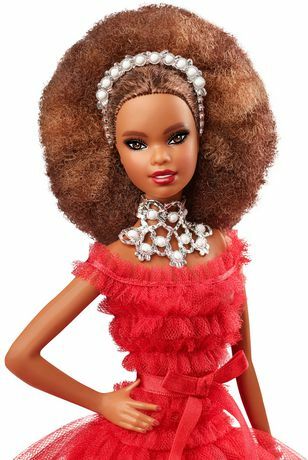 Sophisticated accessories – a headband, necklace and bracelet – feature 30 “pearls” to celebrate the occasion and add the finishing touches. 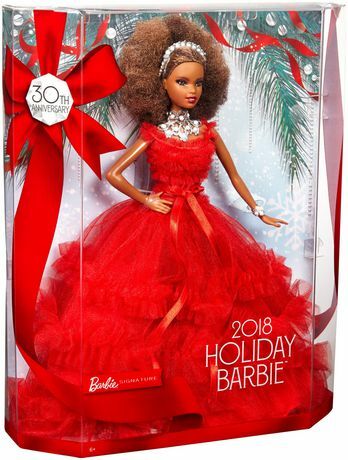 May this 2018 Holiday Barbie doll inspire you to live joyfully, celebrate special moments and create memories you’ll treasure for a lifetime. 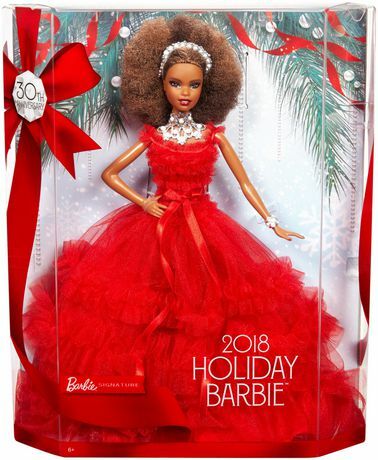 Includes 2018 Holiday Barbie doll, doll stand for display and Certificate of Authenticity.